We’ve seen lots of timelapse videos lately from the International Space Station, as the astronauts have just recently started shooting long sequences of images enabling the creation of these stunning videos made from still photos. This video was put together by one of the photographers himself — Ron Garan — who returned home on September 16, 2011 after spending about six months in space. Today on his blog, Fragile Oasis, Garan explained how the genesis of time-lapse photography on the ISS came from a suggestion from Katrina Willoughby, a photography instructor for the astronauts. 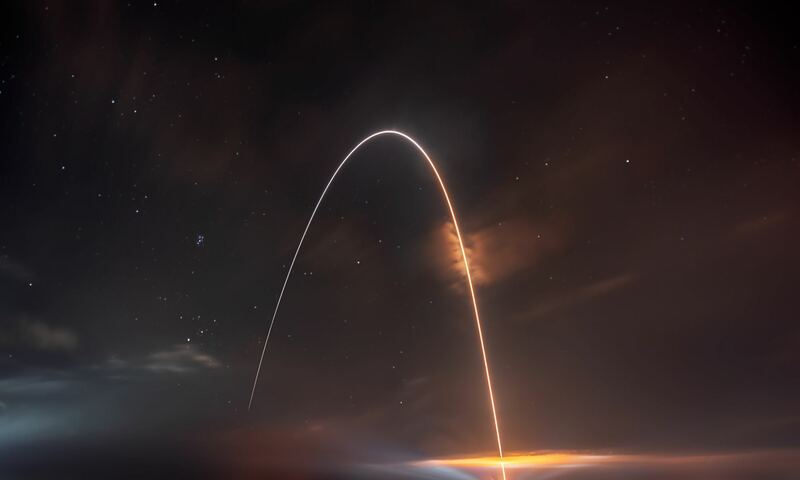 “I hadn’t tried time-lapse yet because I overestimated how hard it would be to capture great images, and the time-lapse photography I had seen to date didn’t seem as impressive as the still imagery we had been taking with some of the new equipment onboard,” Garan said. But he set up a Nikon D3S camera in the Cupola on the space station (see an awesome picture of him, below, working in the Cupola), took some practice shots, and worked on getting the right settings, then set up the camera to take about 500 pictures at 3-second intervals. “When I saw the results, I was so excited that I couldn’t sleep!” Garan said, adding that these videos really do give a great representation of what the view is like from space. Following Garan’s lead, the other astronauts have since joined in taking time-lapse imager, and astronaut Mike Fossum has “since elevated time-lapse photography from space to an art form,” Garan said. You can see a collection of ISS time-lapse videos here, and read Garan’s post on Fragile Oasis for more information on the cameras, settings, etc for their time-lapse photography. Also, check out the Gateway to Astronaut Photography of Earth to see the latest images and videos from space. To see several of the best time lapse video ever made watch this called magnificent earth. Fantastic video put to fantastic music. Several video to see. I am in awe. Despite all the incredible new knowledge and perspectives we get these days, it’s been a while since something so vehemently sent chills up my spine and covered my body in goosebumps. This video delivers the most up-to-date, and intimate view of civilization’s ubiquity on our fragile home, while at the same time lifting the spirit with hopes of a bright future. Sobering, inspiring, and gut-wrenchingly real, the imagery (and wonderful soundtrack!) informs through eye-opening emotion. This stuff can move and motivate in the most direct way. To me, this is news, and everyone should be exposed to it. Thanks for the post. I thought “Coming back home” was a time lapse from inside the capsule return through the atmosphere, I guess it refers to his last time lapse before he came home… Or…what would be even cooler, would be a time lapse from inside the ISS of the capsule re-entry. That would be cool. There was a picture of the last shuttle re-entry if I remember correctly. This is an incredible video. As I posed on FB and on the Fragile Oasis site, EVERYONE on the Planet should see this video. It’s my hope that they would see how our Earth looks from space … how fragile, how tender, and that we have to take care of it – it’s the ONLY home we have.